Charter Chopper Branson, operated by Davis Aviation, Inc, provides a wide range of services for both fun outings and business needs; if you need to get up in the air, Charter Chopper is there! 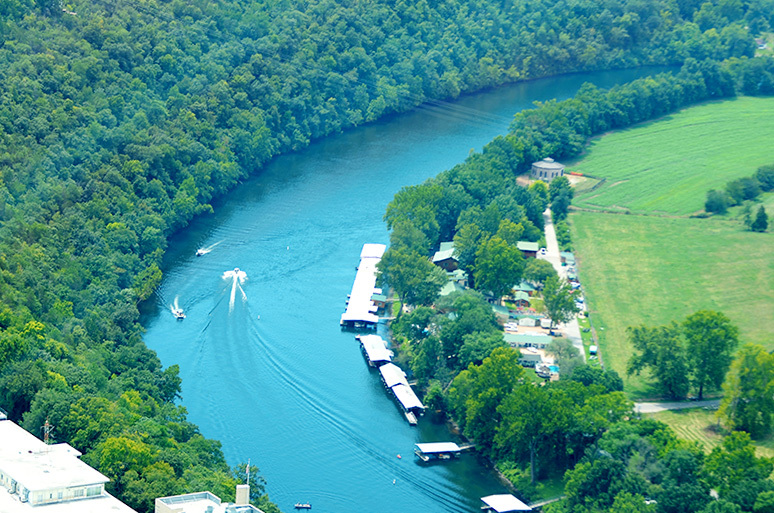 Take a scenic tour over Branson, and other areas in Missouri, Arkansas, and Oklahoma. 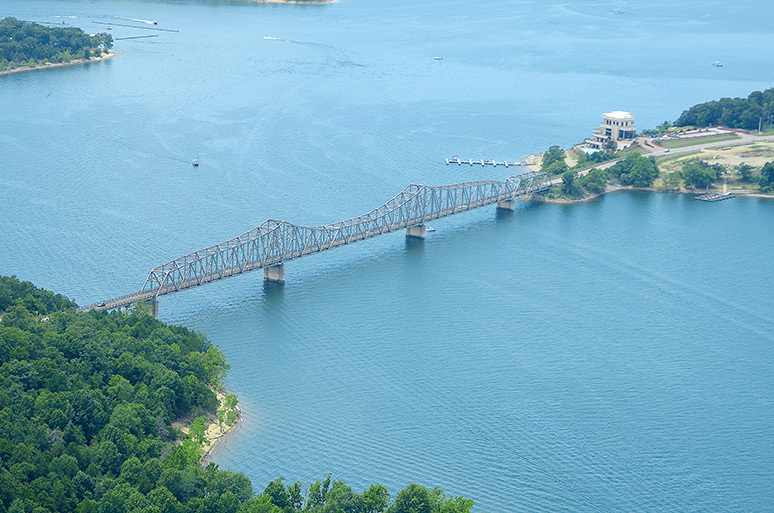 Popular Branson sites include Table Rock Dam, Powersite Dam, Lake Taneycomo, Silver Dollar City, the Strip (Highway 76), Branson Landing, and the Ozark Mountains in all their glory. They can arrange a custom helicopter tour or charter flight, and you can even take over the controls and fly in their iPilot program. How about taking your dinner date up a notch by arriving from the air? You can be delivered to any number of restaurants in Branson and Springfield…imagine arriving at the Chateau Grille at Chateau on the Lake by helicopter! What a beautiful way to enjoy the view of the property, the lake, and the mountains beyond. You can book a chopper to take incredible aerial photos, or go for the ultimate thrill of helicopter sky diving! Sky diving from a chopper means a speedy remote pickup, pinpoint accuracy, and just riding in the chopper itself is a whole lot of fun! 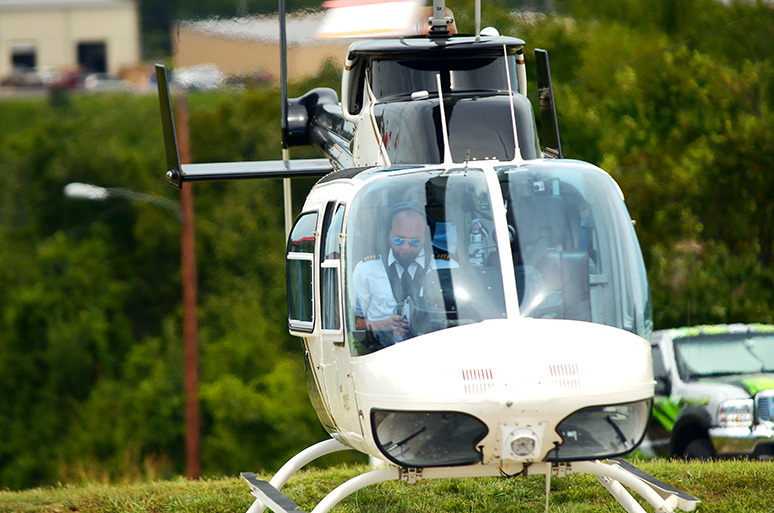 Each of Charter Chopper’s pilots receives required trainings and reviews and has an impeccable safety record. The staff is exceptionally experienced, too; the Director of Operations has over 20 years of aviation experience, the Chief Pilot has over 30 years, and the Director of Maintenance has more than 28 years of experience in the field of aviation. It’s a phenomenally fun and safe way to view the area, arrive at your destination, take care of your photography and video needs, or enjoy the thrill of skydiving…it’s Charter Chopper Branson at your service!